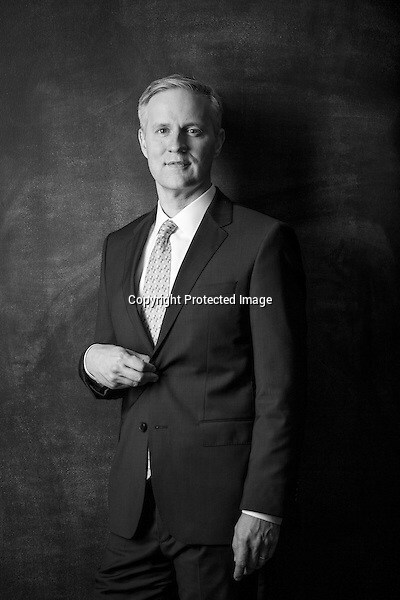 In May, I was asked by AY Magazine to photograph 3 Northwest Arkansas individuals for their Powerful Men series. This is my fourth year to work on this series, and it is one that I always look forward to shooting. Mike Malone with the Northwest Arkansas Council. I haven’t shot B&W since I picked up color film almost 20 years ago. I know the difference between a good and a bad b/w photo. I’ve never really liked anything I converted to black and white. I always want to do a great job for my clients. I spent quite a bit of time researching black and white portraits to figure out how I wanted my final images to look. I was excited to already know the 3 people before photographing them because it helped me figure out my lighting, background and posing ahead of time based on their personalities and physical stature. I pulled inspirational images for each shoot and played in the studio beforehand to get things tailored for each individual. Overall it was a very fun project, and I really enjoyed the creative process.